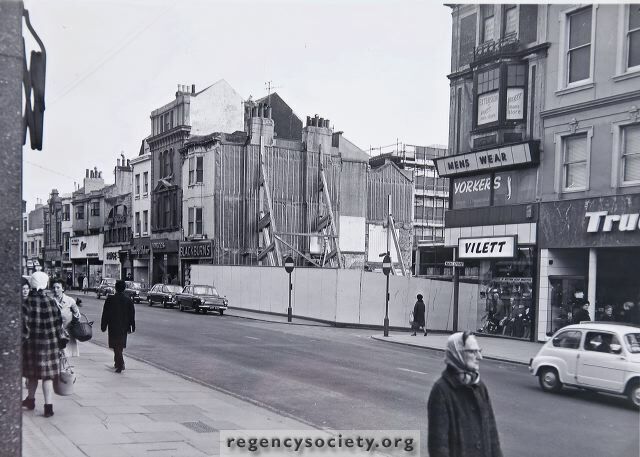 The start of the clearance of old shop properties at the extreme western end of Western Road, prior to the revealing of the vista of the new Churchill Square which had been in progress in the rear for some time. This photograph clearly shows how the one time separate houses of Western Road and Grenville Place had, over the years, been joined together to give greater depth to the ground floor shops. These photographs, as well as those nine on the previous four pages, were taken on 19 March 1967.